If you want more stability under your feet, you’d rather stay on the beach. The Foamy FREE is our approach to a long board inspired beginner to intermediate board. Super stable take offs, fast paddeling, combined with quick acceleration thanks to the narrow tail. This shape teaches you how to surf and leads you straight into that old school longboard style. The outline with tons of volume guarantees fun and endless rides. 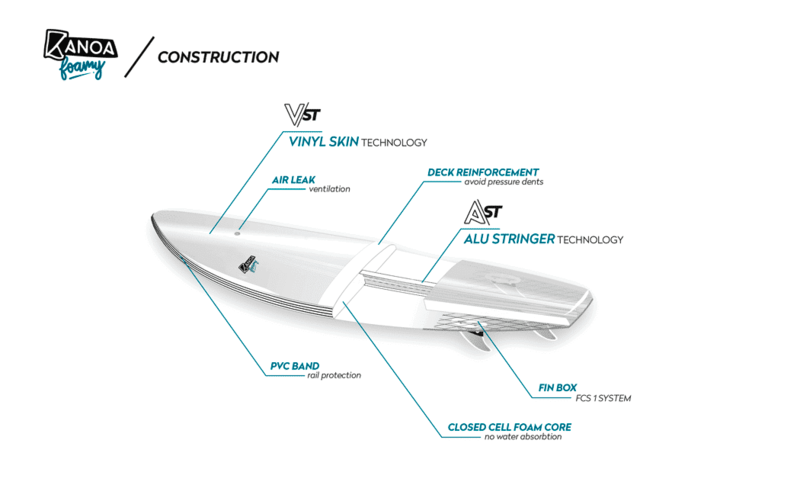 Don´t worry while borrowing it to your homies, due to the A/VS Technology this board will withstand even the most careless treatment.